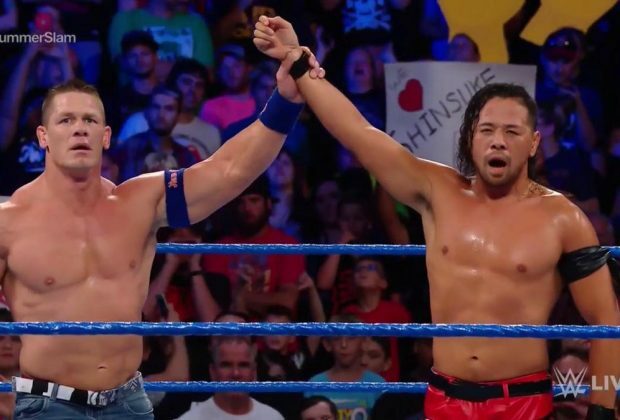 John Cena vs. Shinsuke Nakumura was absolutely the best thing to have happened in the world of wrestling this week. Squaring off for the first time on SmackDown Live, the pair gave far more than one has come to expect on a television match. The pace was fast, the blows were furious, and the movements far more fluid than one could have ever expected. Well, neck botch aside, obviously. The booking of the match was billed as a dream match due to each wrestler’s respective superstar status, but never did I imagine these two would work so well together. The sixteen-time World champion works to a solid and more methodical style, while Shinsuke is not known as the King of Strong Style for nothing. One could have easily imagined WWE's Captain America being the natural choice to go on and dethrone the villainous Maharaja, but opting for Shinsuke is going to make for a very intriguing SummerSlam. However that is the future, and this column is about the past, and I must once again take my hat off to Cena and Shinsake for a fantastic match. Let us hope that they meet again. Following last fortnight's cancellation of the weekly Talking Smack show, WWE has since announced that it will also be axing Unfiltered and The Edge and Christian Show. 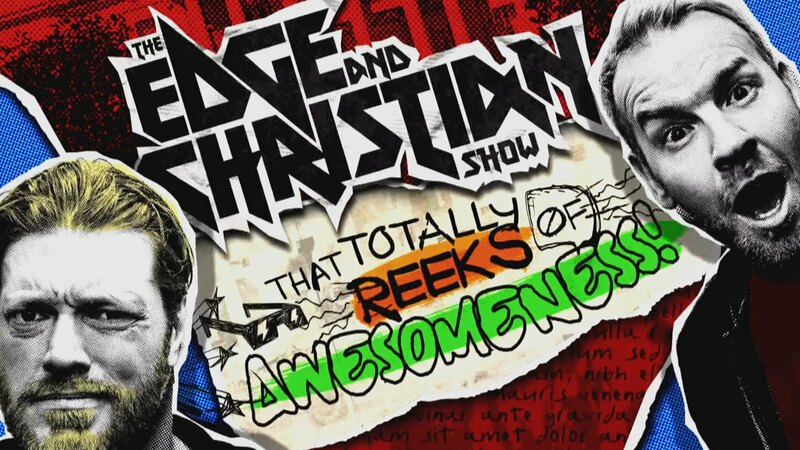 For those who have yet to see it, The Edge and Christian Show is a sketch show of a bizarre nature which frequently featured guests likes Bray Wyatt, Funaki, Gangrel, and even Pete Gas! 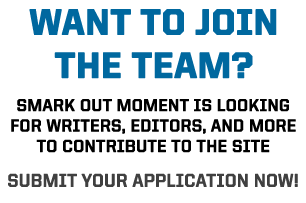 After your WrestleManias and SummerSlams et all, it was the main draw for me signing up to the network. Anyone who appreciated Edge and Christian’s surfer dude gimmick of the early noughties would have got a big kick out of the show. 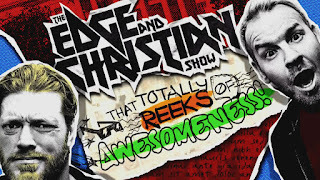 Edge and Christian had mentioned on their podcast that a second series had been written, and that they had been due to film, but were on a hiatus due to some parts being deemed too expensive to film. 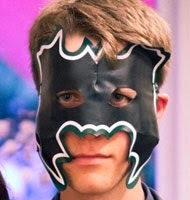 But given the bulk of it is filmed in WWE HQ with a lot of green screen, I am beginning to wonder just how much WWE is willing to invest in its own original network content. Even Ride Along might be getting the boot soon, and how expensive can that be to make? As for Unfiltered, this must come as a snub to Renee Young, having had two of her shows axed in as many weeks. Renee is one of the standout WWE interview talents, and deserves more than being generic microphone holder #4. 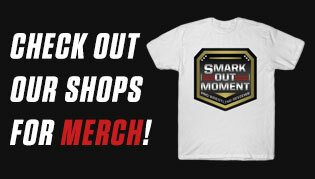 There has long been rumors that ESPN has its eye on her, and if WWE is not careful, she may become tempted to jump ship. Much like Talking Smack, the main reason WWE gave was low viewership, but as we have no way of knowing the viewing figures, we can only take their word that this is the case, and that this was not a sudden whim by Vince McMahon.